Henry Muccini is Associate Professor at the University of L’Aquila. He has been Assistant Professor in the same university since 2002, and visiting professor at Information & Computer Science, University of California, Irvine in 2002 and 2006. Henry Muccini received is PhD degree in Computer Science from the University of Rome – La Sapienza – in 2002. My research interests are in the Computer Science area, Software Engineering field. In particular, my main research interests are on software architecture descriptions and analysis, architecture-based analysis and testing, model driven engineering, and engineering mobile applications. I have published over 100 international conference and journal articles on these topics, and co-edited two books (Software Engineering of Fault Tolerant Systems, World Scientific Publishing, June 2007 and Architecting Dependable Systems V, Lecture Notes in Computer Science 5135, August 2008). I have been the co-guest editor of a number of special issues (among them, two special issues from the Science of Computer Programming by Elsevier (in press, 2014), a special issue on Software Architecture for Code Testing and Analysis on the Springer Computing journal, and a special issue on Software Test Automation, Practice, and Standardization on the IJSEKE journal (2011)). I have been co-chair of the Program Committee of WICSA 2016, the 13thWorking IEEE/IFIP Conference on Software Architecture. I have been co-chairing the Program Committee of DeMobile 2015, the 3rd Int. Workshop on Software Development Lifecycle for Mobile (co-located with ESEC/FSE 2015), of AST 2013, the Automation of Software Test workshop (co-located with ICSE 2013), QSIC 2012, the 12th Int. Conference on Quality Software, and the EUROMICRO SEAA 2012, the 38th Euromicro Conference on Software Engineering and Advanced Applications. I am currently the steering committee chair of the International Workshop on Software Engineering for Resilient Systems, SERENE (serene.disim.univaq.it) and steering committee member of the Int. Conference on Software Architecture (ICSA). 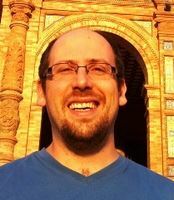 Henry is the IEEE Software theme issue associate editor, and an editorial board member of the “Advances in Software Engineering” journal (Hindawi). Henry is also a member of the IFIP 2.10 Working Group on Software Architecture. I am also directing two laboratories: the CINI Smart Cities & Communities, and the Living Lab, both at the University of L’Aquila. Henry is the person in charge for two international double degree master degree in Computer Science: the GSEEM, Global Software Engineering European Master program (www.gseem.eu), running since 2006, and the I2COST, Indo-Italian Master Degree in Computer Science and Technology (http://www.disim.univaq.it/teaching/master-i2cost) running since 2015. I am also (or, have been) the responsabile of a number of events: the 2016 DISIM meeting on Cyber Physical Systems, the SERENE 2014 Autumn School on the Engineering of Resilient Cyber Physical Systems (2014), the 9th TAROT Summer School on Software Testing (2013), the AST 2011 charette session on Architecture support for Testing: automation of software test (2011), the Dagstuhl Seminar 10111 on “Practical Software Testing: Tool Automation and Human Factors (2010).